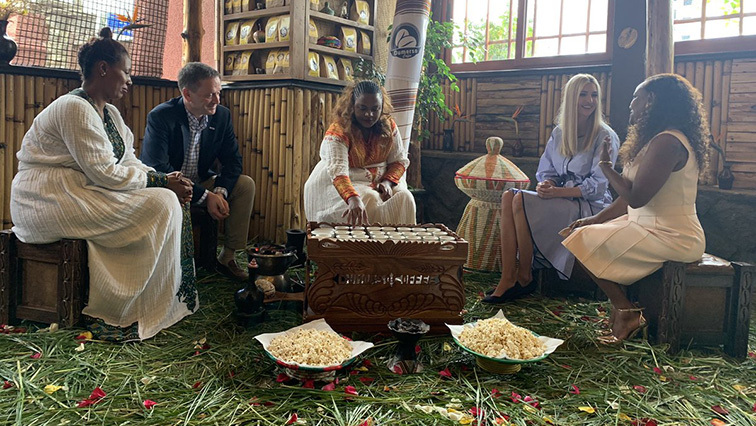 Ivanka Trump kicks start Africa tour in Ethiopia - SABC News - Breaking news, special reports, world, business, sport coverage of all South African current events. Africa's news leader. Ivanka Trump's trip to Ethiopia is linked to her involvement with the Women's Global Development and Prosperity. Ivanka Trump, the daughter of US president Donald Trump, has arrived in Ethiopia to begin her Africa tour. The advisor to the president will be in Ethiopia for two days on an official trip during which she will promote U.S. led initiatives to promote opportunities for women’s inclusion. Ivanka Trump’s trip to Ethiopia is linked to her involvement with the Women’s Global Development and Prosperity, a white house project launched in February. She has met with businesswomen investing in coffee industry in Ethiopia. Ivanka has awarded 260, 000 dollars loan through a local Ethiopian bank to a woman investing in the coffee production chain, to enable her expand her business. The project she leads targets to economically empower 50 million women in developing countries by the year 2025 under a 50 million dollar funding. In 2018 US redefined its policy with Africa. It decided that funding will go only to key countries. All US aid to the continent will advance its interests and it will help African nations move toward self-reliance. Ivanka Trump will have meetings with officials from the Ethiopian government and the African Union. On Monday she heads to Ivory coast. This entry was posted on 14 Apr 2019,06:39PM at 6:39 PM and is filed under Africa, Homepage Featured Story Slider. You can follow any responses to this entry through the RSS 2.0 feed. Both comments and pings are currently closed.